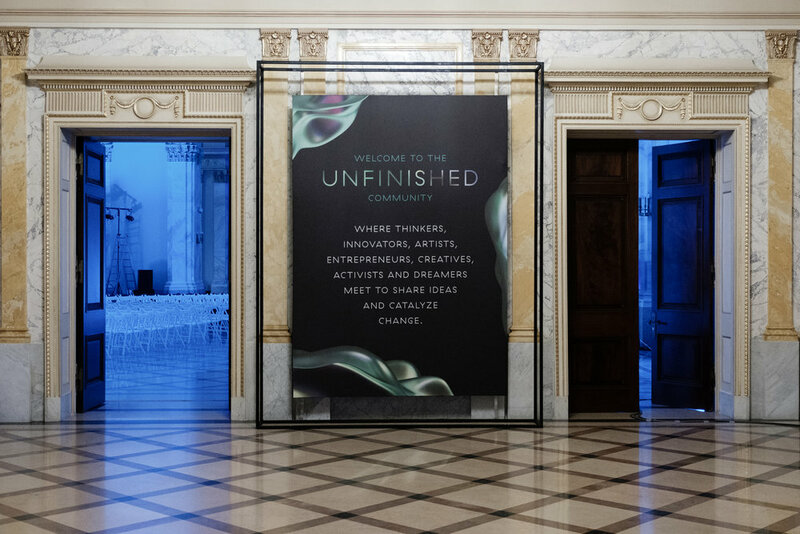 UNFINISHED Festival brought together creatives, artists and entrepreneurs to inspire through a series of keynote addresses, interactive panels, hands-on workshops and masterclasses, as well as exhibitions, networking events and concerts. The 2018 edition identity interprets the concept of "unfinished" as impermanence, as a state of perpetual change and evolution. Much like the experience of the festival, "unfinished" is a frame of mind occurring in a specific context that enables the people to get inspired and act on change.